Let’s honor ourselves… as Women on this International Day… releasing all the constricting conditioning that we; including our mothers, grandmothers and all the female lineage of our ancestors, have been subjected to in the past 5000 years. 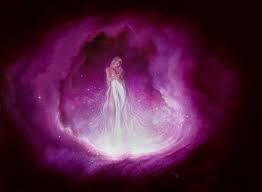 And let’s celebrate the True Essence of our being… and this beautiful Feminine vessel we are in! Our bodies are our vessel… through which the Divine Essence… Source… Oneness Consciousness comes through and expresses Itself. Our bodies are the vessel for Divine Essence, regardless of what we look like, what color we are… what our hair looks like and how many blemishes we may have. Our bodies are the vessel that allows our Spirit to manifest here on Earth… Mother GAIA… and carry out our mission… our passion… our Destiny! As women, deep down in the recesses of our psyche… we find old conditioning that pretends that our worth… our happiness… and even our safety is related to a ‘particular body appearance and expression’ collectively desirable in the patriarchal system of present. your critical mind… you will not find fulfillment, nor love, nor your true happiness. Whether its exhausting yourself at the gym day in and day out, or working long excessive hours in order to ‘get ahead’, women betray their body’s wisdom and rhythm everyday, trying to ‘reach’ fit that image of success and happiness that their minds are clouded by. But as we forget so quickly, happiness isn’t out there… or even in the fulfillment of an image… it is a state of mind. True lasting Happiness is a fulfillment that is felt when we awaken to our true ESSENCE within. This is the true lasting fulfillment we are all seeking. It is the treasure that we are… not something to be acquired. our bodies are our vessel… assisting us to carry out our mission, not to fit into a superficial idea of any kind. What does your body need to carry out your mission… your highest Truth… and to allow your voice to be heard? Lets start by loving yourself, in this vessel that you find yourself in right now, with all of its ‘flaws’. And yet realizing that the flaws are not really flaws… they are just a perception of ‘what is not’ measuring up to the image in your mind. If you find yourself critical of your body… or feeling unhappy with your body vessel, I suggest you take a real honest moment and challenge that image that you are comparing yourself to. What does your mind say you should be like? What objections to your thoughts bring up about your body? Maybe it is the weight it holds… maybe it is a disorder or disease… maybe it is your height or the way your face looks… your hair… or the color of your skin? I invite you to say yes to what is… and release the image in your mind that is making you miserable. What does your body vessel need to carry out your destiny? Do you need to get stronger… eat healthier… build up stamina… love yourself unconditionally ? Ultimately, everything that your vessel is experiencing in this moment, is part of the greater evolutionary process of LOVE, forcing us to love ourselves even more and awaken to the TRUTH of who we are, not who we have been conditioned to be. If you can accept your body vessel as an aspect of yourself that is giving you exactly the experience you need right now… then how does that change your experience? I have recorded this FREE YOU TUBE video series for you, its all about returning to the rhythm of your womb and recalibrating your physical and subtle bodies including hormones, glands and chakra gateways. Women have been disconnected from the wisdom and rhythm inherent in their bodies, which is an integral aspect of the Feminine. Here is an opportunity to restore our rhythm and activate the full power of the Feminine within our beautiful Feminine physiology! The series will begin on Mar. 15th, 2018 free on my YouTube Channel. Enjoy the orientation video below. Dr. Leonor Murciano-Luna is the founder of School of Conscious Feminine Medicine and the South Florida clinic, Nourishing Women. She is an Integrative Body/Mind doctor, Acupuncture physician, Spiritual Healer, Teacher & Writer. She has spent most of her life focused on Healing the Body/Mind and soul… through the evolution of the Feminine Soul, within us and on the planet. She offers online programs, mentorships and personal private healing sessions to find just the right medicine for you. Book a Free Feminine Medicine Consult to explore your options!